As I mentioned in my March & April Sephora Play! post, I canceled Play! and signed up for Beautycon immediately after. I didn't know how quickly I would get my first box but low and behold I got the spring box! I know, I know...another subscription box post. But, this one is the most interesting to me out of the three I received in April and after this I'll only be getting one monthly subscription (Allure Beauty Box) and then Beautycon quarterly so the beauty box post will simmer down a bit from now on. I've got a ginormous spring makeup haul post coming up where I'll blabber on a lot about those products since it's all things I really wanted and picked out myself so I won't go on too much about these items but I still wanted to share them since the value is pretty incredible and there were some hidden gems in there so let's get to it! Click the images below to see and read about each item! If only I'd had this sooner... I recently decided to quit being 100% platinum white blonde because the maintenance and damage were starting to wear on me so I had my roots shaded (darkened) and it has faded, albeit gracefully, to my natural medium brown at the roots. I know I go on a lot about hating hair products in beauty boxes but hair oils are the one type of hair product I actually like so I'll start using this soon and really put it to the test next time I get my hair color treated. This retails for $7.99 at Ulta and is on sale right now for buy one get one 50% off. I actually had these lil suckers in my Ulta wishlist so I was really excited to get them and try then out. 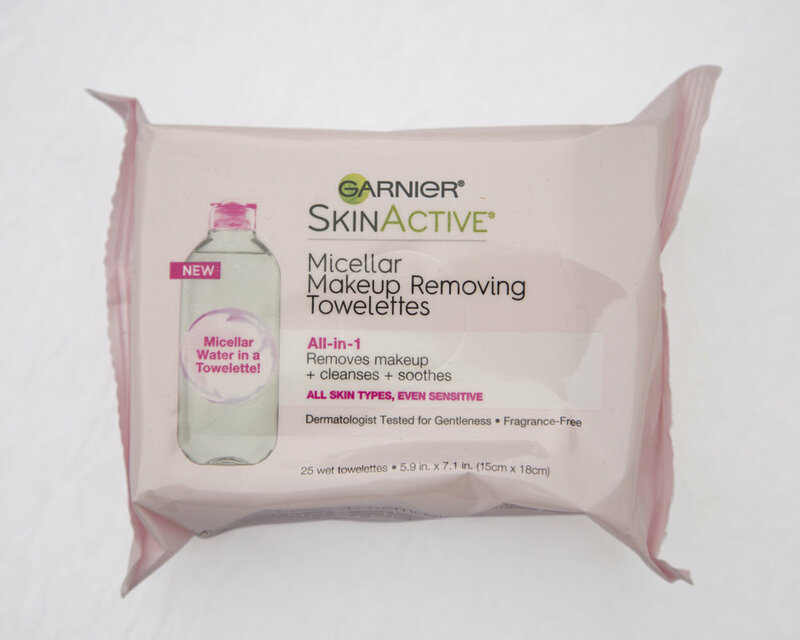 They're not as damp as I would like, seem pretty dry actually, but I mostly only use makeup wipes to remove lip products and they still work well for that (my skin is way too sensitive to use most wipes to remove makeup). These retail for $6.99 at Ulta but right now they are also buy one get one 50% off! I haven't tried this out yet because I'm a little scared since I've never used a brow powder before (more of a pencil gal). Though I didn't love the BrowGal product that came in my April Allure Beauty Box I am excited to try out a type of brow product that I've never used before. Also, love that it comes with it's own brush! This retails on the BrowGal's website for $35 so this product alone covers most of the box's value. Oof, I am not the girl for this product. I don't really care for matte liquid lipsticks, they just dry out my lips way too much, I prefer a classic satin or glossy classic tube lipstick. I have a feeling a certain someone I know will look great in this particular color so I will be giving this one away but I think most people will love getting a full size liquid lipstick and this retails for $14 on Dirty Little Secret's website. I did not expect to like this but surprisingly I love it! I normally go for very pink blushes so at first glance I would of rather got the shade Passion Pink but this color actually looks gorgeous on and is a bit different from most of my other blushes. Mine did come shattered, which I read somewhere online happened to a lot of people, but Beautycon sent me a new one super fast after I contacted customer service. Definitely worth the extra wait of getting a new one and at $16 it adds some great overall value to the box. YAAASSS! I love new makeup brushes, especially ones that are not like any of the other brushes in my current collection. This is my second Luxie brush from a subscription box and I could not be more happy with it. The duo fibre quality of this brush will help keep you from over doing it with any powders you might want to use this brush for (I used it with the IBY blush and it worked wonderfully) so if you find you have a heavy hand this would be a good brush for you. This could work with pretty much any powder you would apply to your face as well as applying a lighter layer of foundation than a standard foundation brush or sponge. This brush retails for $22 so this is also a great bang for your buck item. Not sure what to think about this one... I got the OG non-shimmery version of this in a BirchBox ages ago and only used it a few times before deciding I had other similar products that I liked better and chucked it. I know these shimmery oils are really popular with people who tan or are natural tan but I am a ghost so I'm a little afraid of what this might look like on my pasty gams. I still might give it a go since I do like to wear skirts a lot in the summer and see if it makes me look maybe not quite so ghostly. This brand used to be sold at Target and Ulta but it's not anymore so the best place to buy it would probably be Amazon if you're in the market. This only ads about $8 value so I'm not fussed about it if I don't end up liking this product. 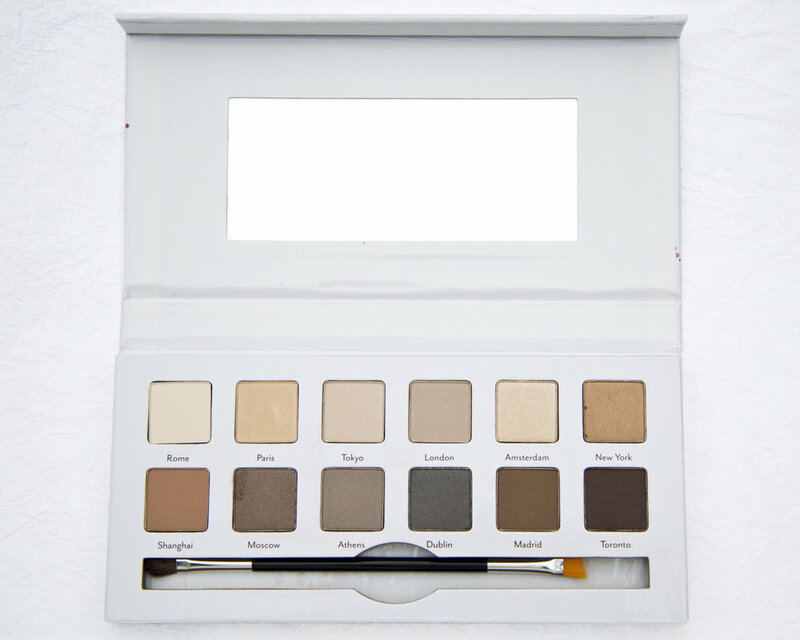 Not the most exciting palette since it is all neutrals, most of us probably already have a neutrals palette, but still very nice and has a better balance of mattes and shimmers than most mixed finish palettes out there. The You Had Me At Aloha palette would of been more exciting since it's got a much wider range in colors but let's be real here, I'll probably get more use out of this since I don't wear particularly colorful eye makeup all that often. I've used this once so far and it's not the most pigmented but still pretty darn good and it's very buildable which is great for beginners. This retails for $34 on Cargo's website but is online at TJ Maxx's for $16.99 so if you're after it snag it there while it's still in stock! This is yet another great value piece in the box. Was a little confused by the fact that this is called an illuminating stick yet it's a blush shade but it appears that a good portion of the other shades in this product are highlighters (some are bronzer/contour shades as well). I do love a cream blush but I recently just bought another, which I'll talk about in an upcoming post, so I definitely don't need this (plus, I already have another in stick form from Josie Maran). I want to start swatching the products that I'm talking about but I didn't for this post since I'm giving away two of the items but I promise I'll start doing it soon! This cost $7.99 and is also on Ulta's current BOGO sale. I didn't include the rose sticker since I just consider that an added freebie with no considerable value but overall, not taking any sales into account, the value is about $152. That is fantastic considering I only paid $33 for this first box (I used a 10% off affiliate code from My Subscription Addiction, it's normally $36 with shipping). I'm pretty sure it's promised that all boxes will have a $100 value or greater so this is an excellent way to start with a new subscription box! I can only speak from what I've received here but if you're considering signing up or have been on the fence I'd say look up past boxes and if you generally like at least 50% of the items each season then it's definitely worth it. Hope you are not getting too sick of my beaut box posts and thank you so much for visiting and have a lovely day!